The Thurston County Fair is bustling with visitors – families eager to spend a pleasant, stress-free day looking at animals, playing carnival games and enjoying the food. Oh, the food! But amidst that crowd is a group of kids and parents who are bustling for an entirely different reason. For 4-H’ers and their parents, fair week (and the week leading up to it) is without a doubt the busiest time of their year and most likely not stress-free. So what is that actually like? Samantha Worth is a 16-year-old at Black Hills High School and is a member of the South Bay 4-H Club. 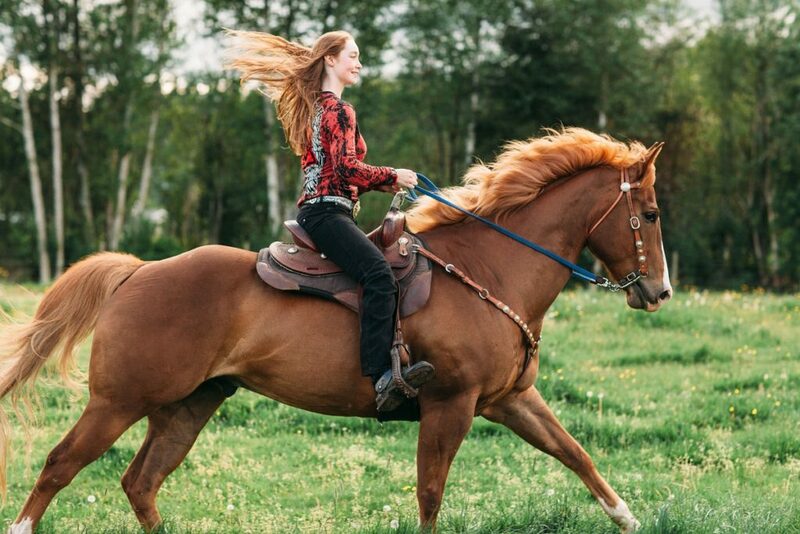 She owns Vin, a 10-year-old, 16.1h sorrel quarter horse gelding. 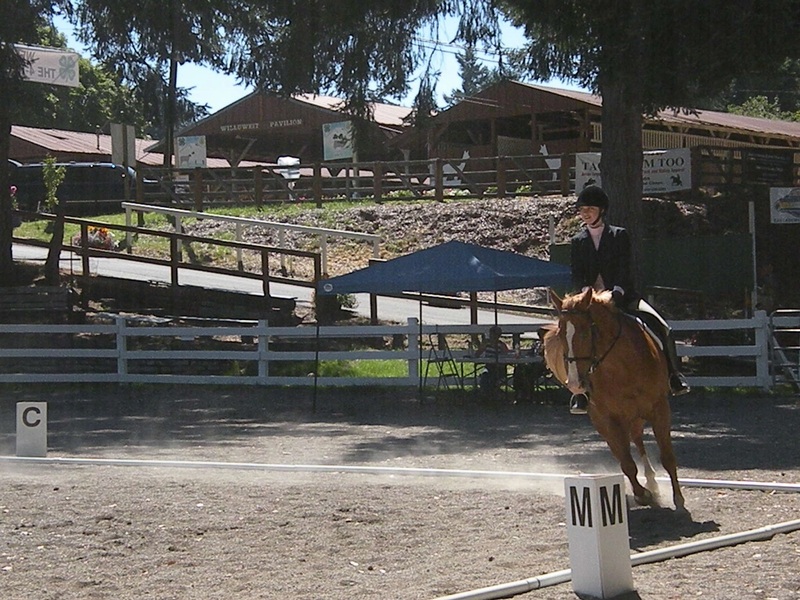 She has been in horse 4-H since she was eight years old. “Some of my favorite memories from elementary school are from trying to get ready for showmanship,” Samantha recalls. Before she even gets to the fair to make those memories, Samantha has to ready her horse and herself. That includes clipping Vin’s bridle path (a small section of mane right behind the ears), ears and nose, giving him a bath, and scrubbing his hooves so the polish will stay on. Then she has to band his mane into many small “ponytails” and brush his tail well. Samantha polishes her tack, cleans her show clothes and then packs everything she and her horse will need for the week, including food. This whole process takes at least six hours for Vin. Her other horse, Brooks, is also going to fair with her this year for gaming events. “She is 26-years-old and isn’t shedding her coat as well as she used to, so we clip her to keep her cool,” Samantha explains. So Brooks will take closer to ten hours to get prepared. It is 5:00 a.m., and Samantha is up. She has a lot of work to do before fair opens to the public. Vin and Brooks need to be fed and watered, and their stalls cleaned. 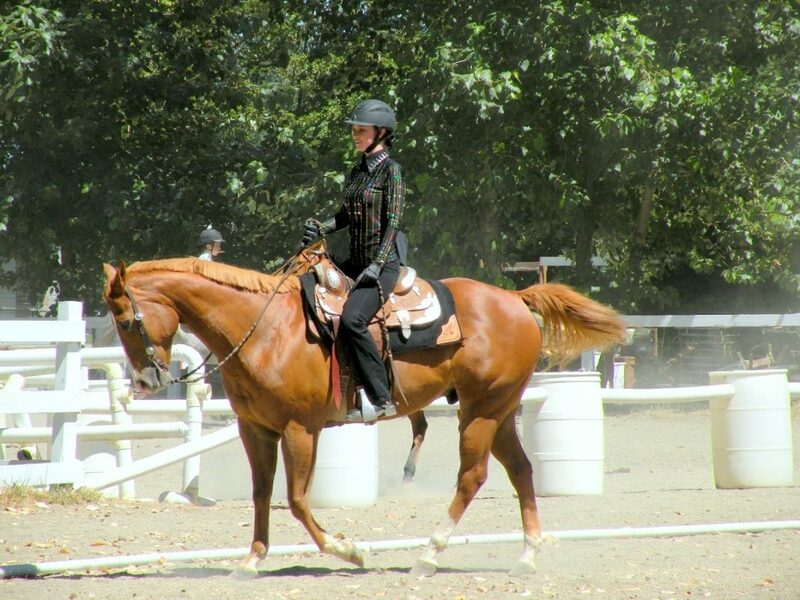 Then, she lunges or rides Vin to get any extra energy out before show time. 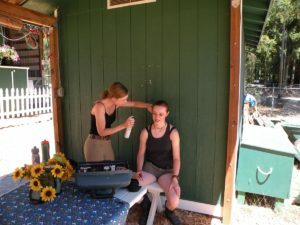 First up is showmanship at 8:00 a.m., so it is back to the barn to clean him up – brushing any dirt off him and making sure his four white socks are as white as they can get, often with a little help from chalk. “The 4-H judges love to pick on white socks, so I have to make sure his are super clean and bright white,” Samantha explains. Vin’s black hoof polish comes on after that, so the chalk does not stick to it. Next, she has to put on the Show Sheen – a spray that brightens his coat. She brushes out the mane and tail once more and uses baby wipes to clean his face and nose. Finally, he gets glow gel on his nose, ear tips and the area above his eyes to make his face brighter. On days when she is riding both horses, she will have double the work. Once Vin is cleaned up, it is time for Samantha to put on her show clothes and make sure her hair is fixed right. 4-H’ers are judged on their own appearance as well as the horses’, so she needs to be dressed just as smartly as her horse is groomed. 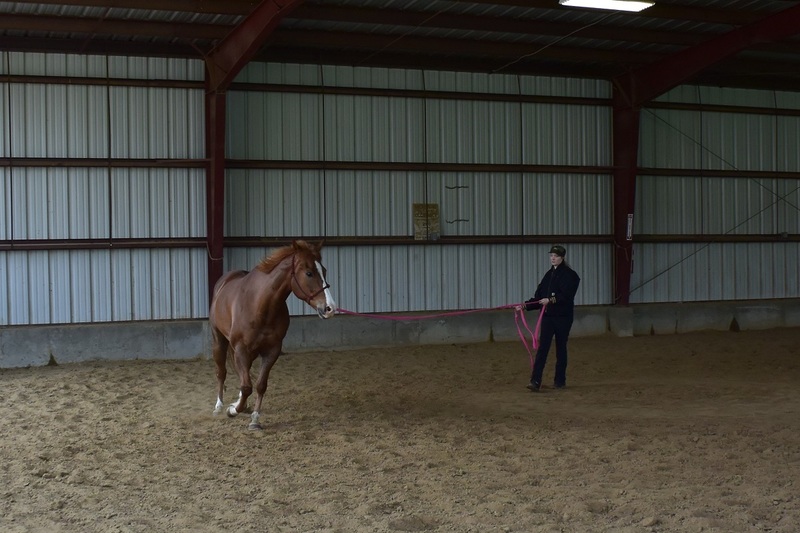 Riding classes happen right after showmanship, so Samantha heads back to the barn to tack up her horse and spot clean him if needed. She does a final check on her tack to make sure it is clean and that nothing is broken. During the fair, Vin and Samantha will compete in showmanship, stock seat, hunt seat, dressage, English disciplined rail, western disciplined rail and trail. At this point you might be wondering about food for Samantha. She laughs and says, “I don’t eat much all week. My mom usually brings me a bagel or a donut to the barn for breakfast. 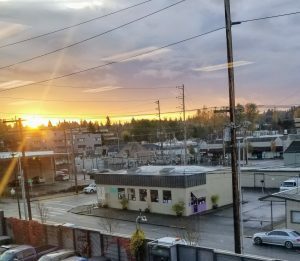 A hot dog might be lunch,” she adds. And that is the most help she will get. 4-H requires the youth to do all the work, so the parents cannot step in and help their kids – it’s their fair. 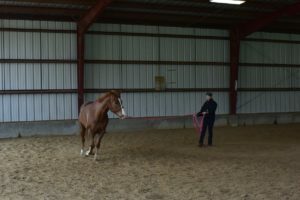 Samantha said sometimes she is finished showing around 2:00 p.m., but 4:00 p.m. is more normal, and sometimes the specialty classes run longer, as late at 6:00 p.m. Lunch is something that is eaten on the fly. If she has the time, she gets that hot dog. Still, Samantha says it is all fun to her. In fact, they have a special class called “Grooms Squad” that is one of her favorite things to do. “We have a team of three people, and we all dress up in crazy costumes and each team gets a horse,” she explains. “We get a bunch of grooming materials out, and you have half an hour to clean up the horse. Then one member takes a test on horse knowledge, and the other does a showmanship pattern. The team with the highest combined score wins – it’s really fun, she explains. Samantha’s team has won at state before. Once showing is over for the day, Samantha has to feed and water her horses and clean their stalls again. Then it is time to go home for a nice hot shower, comfy chair and hot meal, right? Wrong. The 4-H’ers camp at fair with their animals. So Samantha is not going home. She is going to camp in a place with public showers. Finally, back at camp, the 4-H club comes together for a potluck dinner, which often takes place as late as 9:00 or 10:00 p.m. because they wait for every member to make it back to camp from all their activities. They talk about their day, share in each other’s wins and laugh about the day’s mishaps. It is this moment where the best memories are made, ones that will last a life time. And it is what makes all the hard work worthwhile to Samantha and her club mates. “This could be my last fair because I am heading off to college next year, so I am just looking forward to being with all my friends and being able to ride with them one more time,” Samantha finishes.